People get into the hobby of reloading their own ammunition for various reasons. Even though it is true that using a reloading press requires time and an initial investment, for those in the hobby the benefits clearly stand out. 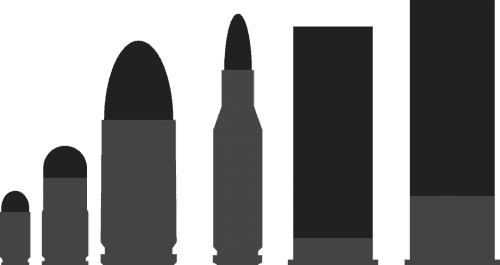 Whether you are looking for the long term savings benefits, self-sufficiency, or the enjoyment of knowing exactly what is in your ammo, this site is here to guide you in your journey. There are both different types and brands of reloading presses that reloaders can choose from. With these choices at hand, it is natural that beginners would have some confusion as to what they really need and what makes one brand different from the others. A reloading press is a type of equipment that is used to reload blank shells and make it ready for use afterward. There are numerous benefits of doing this and one of the best would be saving you from buying more expensive factory made ammunitions. Aside from this, reloader will be able to check on the quality of their bullets as they are the ones who make them from depriming until the crimping stage. Reloaders are also able to choose what ingredients or parts to use such as the primer tools, the powder measure as well as the bullet. 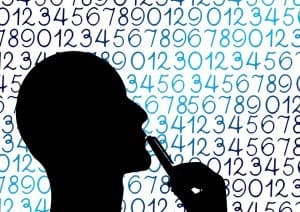 While there is a guide when it comes to measurements, users will still be able to make little adjustments according to their needs as long as it is within the standards. As mentioned earlier, there are different types of reloading presses to choose from, each of this type will have their own set of features that a reloader may be looking for. To further look into those details, here is a list of the best reloading presses in each category. 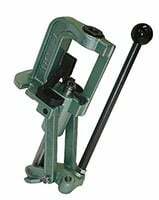 The RCBS Rock Chucker Supreme Press is a heavy duty single stage press that works with different cartridges with specific dies installed. It’s four inches of ram bearing surface provides its users firm support in ever pull of its lever. This single stage press also features an ambidextrous handle to ensure that whether you are left or right handed, you will be able to operate the press with comfort. The best choice for the beginners, the cheapest press available that lasts. Turret presses on the other hand is the middle type of reloading presses. It works on a single shell at a time but the turret head holds all the dies that will perform on every stage. It definitely produces more ammo compared to a single stage press but definitely less than a progressive type. The Lee Cast Aluminum 4 Hole Turret Press is one of the best turret reloading presses in the market. Its auto index features makes the job easier as the turret head turns automatically to move to the next stage in every pull of the handle. Additional accessories can also be installed to make the job easier while the turret heads can also be replaced with another that has a different set of dies to work on a different caliber without the need to make adjustments all the time. Mid-level press solution, will consume some time to function but covers all the dies. When it comes to progressive reloading presses, this is the type where in a reloader can produce about 500 rounds per hour. It works on multiple cases and different stages all at the same time. This is ideal for reloaders who needs about thousands of rounds for a certain amount of time. The Hornady Lock N Load Auto-Progressive Reloading Press has been one of the best progressive reloading presses to consider if you are planning to upgrade or even get your first reloading press. It features a Quick Change Lock-N-Load® Bushing Systems where in with a simple twist on the dies, users can easily replace with it other die sets. Its Case Activated Powder Drop also ensures that the press will not dispense powder until a case is present to filled up which ensures safety for the user as well. The auto eject feature sometimes do not function well, although it is not at all a major issue most of the time. The most time efficient (500 round/hr. ), yet cheap that allows multiple cases and different stages at the same time. Reloading press kits are not always available in most brands. Most of the time, other accessories and tools are sold separately which will definitely costs you more in the long run. However, with the Lee Precision 50th Anniversary Reloading Kit, almost everything that you need is already included. 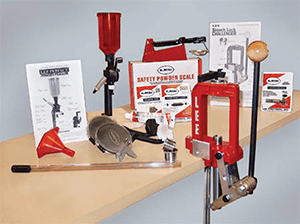 This reloading press kit includes the Perfect Powder Measure, Lee Safety Scale as well as powder funnel to ensure that there are no spills in every process. 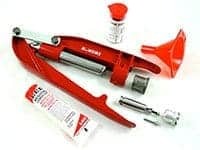 When it comes to preparing the case, included in the kit would be Lee Value Trim, a Cutter and Lock Stud, Chamfer Tool, Sizing Lube and a small and large Primer Pocket cleaning tool. Aside from these, reloader also get the Large and Small Safety Prime to ensure that priming your cases would be as easy and efficient without the need to touch them right from the box to the case. The complete reloading press solution. No other accessory needed. All in one reloading press. When it comes to reloading your shotgun shells, the Lee Precision II Shotshell Reloading Press 12 GA Load All could be your best pick. Although it doesn’t produce as much compared to progressive presses, this is definitely one of the most trusted and affordable type of shotshell reloader in the market right now. Its simple operation and sturdy design makes it a great companion when it comes to the hobby of reloading. It can make around 200 rounds per hour and also has a built-in primer catcher. What makes this Lee Precision II Shotshell Reloading Press 12 GA Load All really stand out though is the 24 shot and powder bushings that are include for free which other brands might require you to purchase separately. When it comes to Shotgun shells, you can simply pick Lee precision II. While most of the reloading presses mentioned above would require adequate space in order for you to properly utilize them, a portable reloading press would not oblige you to do so. These types do not need to be mounted on a bench or even have a handle to start with. The Lee Precision Breech Lock Hand Press Kit comes with hand press itself, ram prime, case lube, powder funnel and a Breech Lock Quick Change Bushing that makes changing dies easy and in less time. This type is ideal for those reloaders who does not need many bullets all the time as well as those who don’t have enough space at home to set a workplace. Accepts maximum size of 3.650 in. The most concise reloading press. Portable solution for reloading press lovers who lover who love to hit the road frequently. When comes to choosing the right accessories for your reloading needs, there are actually a lot that you might need and some of them are really important to make sure that they are of the best quality. Reloading Dies: When it comes to choosing die sets, relaoders can choose from standard reloading die sets which require the case to be lubricated while a carbide die will not. Powder Scale: A reloading powder scale on the other hand is also important to have o make sure that the powder is of the right amount, consistency as well as safety that reduces risks of overloading cartridges. Reloading Manual: On the other hand, having a good reloading manual helps a lot especially for beginners. You will find a lot of guides and information on how you should reload your ammunitions and how to do it. Bullet Puller: In case of any mistakes in loading the shells, having a good bullet puller also comes in very useful. There are times where in there are errors done and you needed to disassemble a particular cartridge. In that case, the bullet puller will be able to remove the bullet while still saving its content that you can still use. 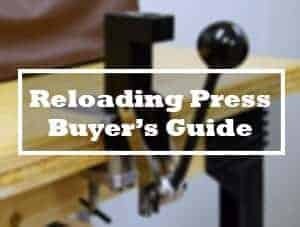 Before deciding to get a reloading press, it is necessary to establish your needs first in order to narrow down your choices and make sure that you get the right press for your needs. How much rounds do you need in a day? This will determine the type of reloading press that you need immediately as every type have different output per hour. Then, set the budget that you are willing to spend. From there, your choice of brands will also become fewer and it will be easier for you to select whichever you think would work for you. On the other hand, if you wanted to save, consider buying reloading press kits that are available for single stage, turret and progressive presses. This way, you will be able to get almost the complete package minus the set of dies which are normally sold separately. How to Choose the Best Reloading Press? 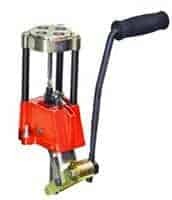 Choosing the best reloading press will depend on your need when it comes to the different features that each type offers as well as if you are particular with the amount of ammos that you should be able to produce at a given time. Each type of reloading press has their own capabilities to which it can cater to different people’s need. Choose a single stage if you are still new to the hobby or wanted to work on a closer detail even though you already own other types of reloading presses. A turret press is the mid level of presses and can work halfway when it comes to details and more ammo produced at a given time. On the other hand, get yourself a progressive type if you are in need of thousands of ammo which you may use for personal or even business. You can also opt for reloading kits to save you the hassle of buying your tools and accessories separately. This is one of the best deals that you can get as you will surely be able to save a lot. But, for those who may not have enough space at home to serve as their work area, or maybe a need for a travel reloading press type, hand presses would be your best companion. This works great for every case, no need to mount anywhere and be able to bring wherever you go. What do you need to reload? – This will depend on the caliber you wanted to work on. Basically, you will need a reloading press, dies that are specific to each caliber as well as a scale. Are Reloading press kits cheaper? 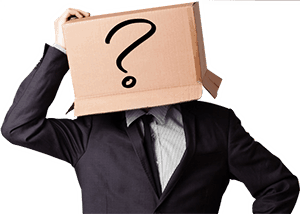 – In most cases, reloading kits are best valued since you will get most of the tools and accessories that you need. These are definitely cheaper when bought together. Why are reloading dies not included? – This is because reloading presses can work on different calibers while the dies are for specific ones. When you purchase a particular reloading press, you also have to buy the set of dies that you need for the calibers that you will be reloading. What to do if bullet weights are not found in the manual provided? – If the bullet weight that a reloader wish to load is not found in their manuals, it is safe to use loads listed for a heavier weight bullet and find a load for the powder you have. How to calculating grains and pounds? – To determine weight in grains when you have it in pounds, multiply the pound weight by 7,000. On the other hand, to calculate weight in pounds when you have it in grain weight, divide the grains by 7,000. Do I always need to lube the case? – The lube makes it easier for the case that you are working on to move into the die and allows it to form evenly. In some cases, some pistol cases may not have the need to be lubed when a carbide sizing die is used. Not being able to lube a rifle case may cause for it to get stuck with the die. Can I still use the cartridge where the bullet is seated in too far? – Yes, however, you will need to purchase kinetic bullet pulling hammer and follow the instructions on how to properly use it. Should I only use the recommended brands when it comes to primers? – Yes, it is very important that you only use the correct and suggested primers. Not doing so may cause accidents when firing. What do I do with crimped primer pockets? – Using a chamfer tool will remove the crimp from the primer pocket of military cases. Sticking to one brand: Is it necessary? Different reloading presses have different features that it can offer to its user. 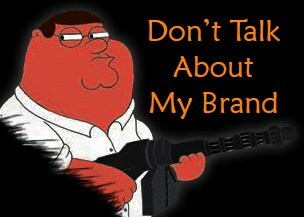 Some reloaders have preferences when it comes to the brand that they wanted to purchase. Some have been using the same brand for years, some were recommended by their friends while others may have read some online reloading press reviews and was convinced by actual customers who were satisfied with their purchase. While it’s ideal to have the same brand when it comes to the press itself as well as the die sets, this is not what happens all the time. Some would mix and match their brands while other stick to just one brand. In any case, what’s really important is to ensure that you are using a quality product and that safety always comes in first. With that said, it is also best to consider a brand that will last for a long time. Some brands are cheaper than the other but may wear out a few years after which may require you to buy another in the end. You can also check some of the people that have been reloading for years and ask about a specific brand that they are using and how it can perform. All in all, it would take a good amount of information to be able to decide which of these reloading presses you will be investing. This will give you an assurance of what you are expecting and not have regrets later on if you realize that you should’ve bought the other one..